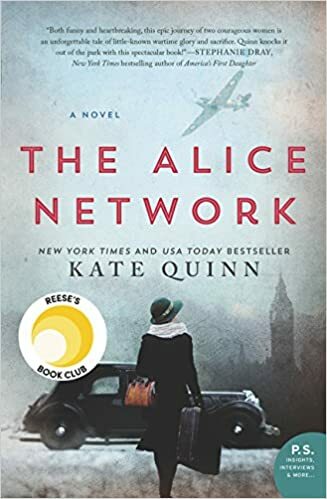 From Amazon review: In this historical novel from national bestselling author Kate Quinn, two women—a female spy recruited to the real-life Alice Network in France during World War I and an unconventional American socialite searching for her cousin in 1947—are brought together in a mesmerizing story of courage and redemption. I’m a real historical fiction junkie and this book has enough non-fiction truth that I really enjoyed it! I don’t always love books that jump back and orth over the years, but this was an exception. At one point the years blend into one intriguing story. I HIGHLY recommend this one! From Amazon reviews: Rebecca never felt safe as a child. In 1969, her father, Robert Nichols, moved to Sellerstown, North Carolina, to serve as a pastor. There he found a small community eager to welcome him―with one exception. Glaring at him from pew number seven was a man obsessed with controlling the church. Determined to get rid of anyone who stood in his way, he unleashed a plan of terror that was more devastating and violent than the Nichols family could have ever imagined. Refusing to be driven away by acts of intimidation, Rebecca’s father stood his ground until one night when an armed man walked into the family’s kitchen . . . And Rebecca’s life was shattered. If anyone had a reason to harbor hatred and seek personal revenge, it would be Rebecca. 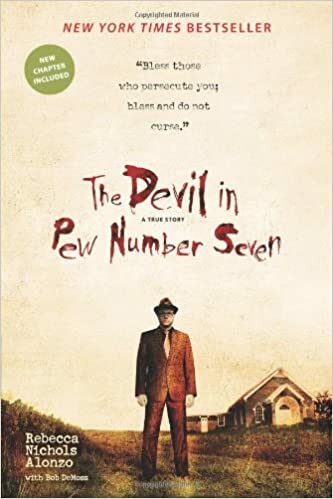 Yet The Devil in Pew Number Seven tells a different story. It is the amazing true saga of relentless persecution, one family’s faith and courage in the face of it, and a daughter whose parents taught her the power of forgiveness. This true story may seem familiar if you watch Dr. Phil, but the depth of pain, forgiveness and redemption can only be partially understood through Rebecca’s own words. The story is told through the remembrances of a small child, but the Epilogue contains the most relevant part of the story – what evil intended, God cleaned up and turned around for good! I HIGHLY recommend this book! 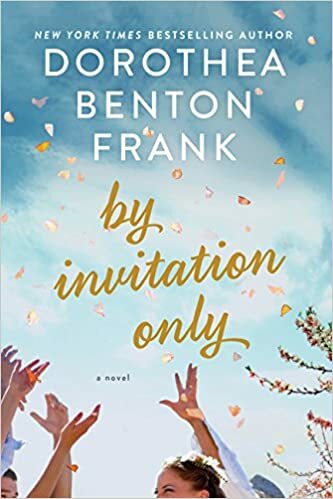 From Amazon Review: By Invitation Only is a tale of two families, one struggling to do well, one well to do, and one young couple—the privileged daughter of Chicago’s crème de la crème and the son of hard -working Southern peach farmers. This book, set in the Lowcountry of South Carolina, is so descriptive it takes me back to that area I’m so fond of. The two families were recognizable for almost any southerner and added a comfortable level for this reader. I enjoyed the story but honestly could have done without some of the more adult situations and language used. Still, a good novel! I just finished a great book, The Masterpiece, by Francine Rivers for our book club. I think I’ve read every book written by Francine Rivers and she never disappoints! I also read Dispatches from Pluto Lost and Found in the Mississippi Delta, by Richard Grant and while these two books were totally different, each were thought-provoking and I highly recommend each one. A “Christmasy” book our book Club just finished is a historical fiction based right here in Middle Tennessee – Christmas at Carnton by Tamera Alexander. Even though this is considered a novella, it is a full historical novel based on the Civil War era Franklin, Tennessee I’ve read all of this author’s books and highly recommend her as an Easy-to-read and interesting author. We’ve even scheduled a field trip to tour Carnton House – yes, I’m a historical fiction fiend! The book that actually led us to read Christmas at Carnton was this wonderful book by Robert Hicks, Widow of the South. These books are both based on Carnton and this one on its mistress, Carrie McGavock. If you like southern history, you’ll like this book! I also recently read another historical book, but this one based on World War II – Winter Garden by Kristin Hannah. Ms. Hannah is the author of one of my favorite books, The Nightingales, and this book did not disappoint! I sometimes wonder why I love historical books so much, but I credit Sam Martin, my history teacher at Madison High School and more importantly, my daddy! The perseverance and humility that people in our past regularly exhibited reminds me how easily we live nowadays. Great books! Thunder and Rain – This book was about a Texas Ranger who has a hard time fitting into this modern world. He is a hero, Texas style, and even though he’s retired, he keeps getting into circumstances that use his cowboy skills. It was a great read and a super price in the Kindle store at Amazon. Water from My Heart – This one took the reader to Miami and then Central America. Charlie Finn had a lucrative and illegal business but as he sets out to become legal and change his direction, he sees the consequences of his actions. I really liked the setting of this one (not considering the whole illegal situation!) and saw redemption revealed. The Mountain Between Us – This Martin novel was about another hero who survived against the odds and this book will become a movie this year. This one took us to the Unitas Wilderness in the western United States. As you read this survival story, the reader can almost feel the freezing cold and insurmountable odds of the harsh environment, but be ready for a twist! Long Way Gone – I read this with my Book Club and we all agreed that the book, set between Nashville’s Ryman Auditorium and Colorado, was a wonderful parallel to another story we’ve read of the prodigal son. The book was very good, but the best part in my opinion was the last few pages when the author makes the parallel crystal clear. I also like World War II novels, and the most recent one was Beneath a Scarlet Sky by Mark Sullivan. This novel is based on a true story about a young Italian man’s courageous work with an underground railroad that helped Jews escape the terrible Nazi wrath. It’s now available at Amazon’s Kindle store for only $1.99!